Welcome to the tech webinar series. On this page you will find an archive of all previous tech webinars that have been recorded. To subscribe to the tech-webinar series and join the sessions every two weeks click here. 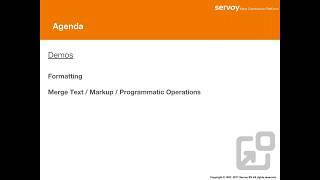 Use the full calendar component in Servoy for scheduling and calendaring. 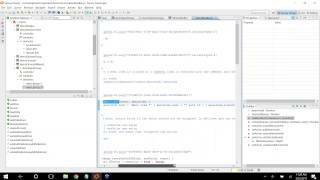 Learn how to implement it in this brief video. 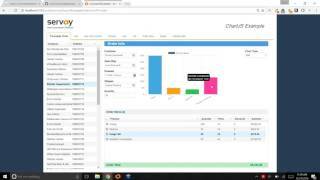 Servoy makes it easy to build powerful, data-driven listviews with great performance. Learn how in just 10 minutes. Servoy 8.4 comes with enhancements to allow some data screens to become even faster. The new “View Foundset” allows developers to optimize data access for complex data structures. Styling your application just got easier. Servoy 8.4 ships with “CSS-Less” styling ability. This means that whether you are a CSS pro, or you don’t want to know anything about CSS, in Servoy 8.4, you can implement the style you want with less effort. New in 8.4, Servoy’s “Simple Layout” makes positioning components more powerful, yet remains simple to use. Get the dynamic UI you want with less effort. Servoy NG Client allows you to create great looking HTML5 apps. 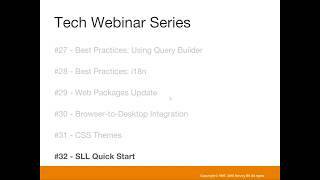 In this webinar we discuss best practices of moving classic web-client applications over with less effort. 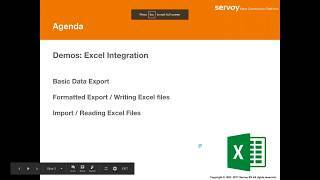 Run Office editors for documents, spreadsheets, and presentations directly within your Servoy application. Collaborate and do real-time document editing, convert between office documents and formats. 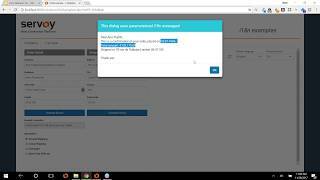 We show you how to integrate with third party integration and use Okta as an example. Multi Factor Authentication can make your applications more secure and using third party authentication reduces your development time. Quickly build powerful, multi-lingual reports with output to pdf, Excel, XML and more and tightly integrate with Servoy datasets, internationalization and more. In 30 minutes you’ll know exactly how. 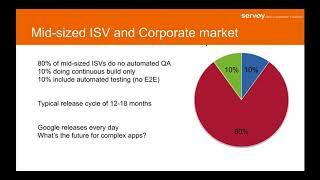 Servoy QAPaaS helps you to improve the quality of your software products by automating the building and testing process. This update shows you the latest developments. 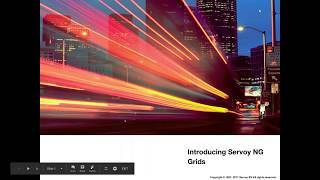 The Next Generation grid component in Servoy makes it very easy to use powerful grids in the browser. Learn how in this webinar. Electron allows you to run a browser with local hardware and software integration. We’ll show you in 30 minutes how to accomplish that with Servoy. 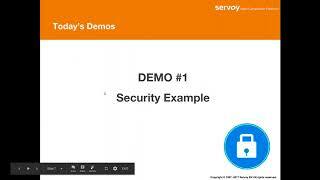 Learn how to create a secure audit trail in your business applications with Servoy. 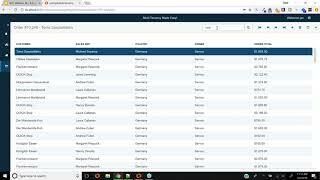 Track changes users make to data, audit which data users have been looking at in the application. 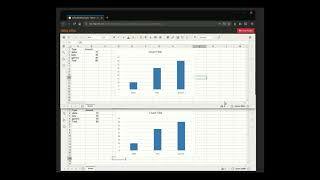 Learn how to write data out to Excel using Servoy and how to import Excel files. Servoy allows you to customize applications at runtime, even by the end user. 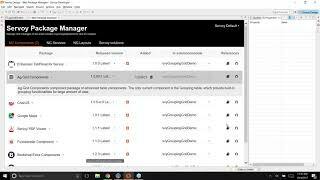 Users can drag and drop fields and other elements and configure the behavior of the application. 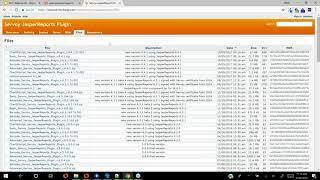 This webinar shows you how. 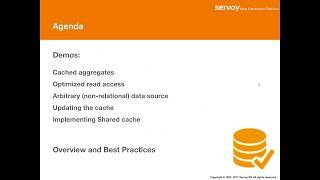 Servoy has long supported calling stored procedures. But until now, it required the developer to have intimate knowledge of the internal procedures. Servoy 8.3 offers support for Stored Procedure Introspection and automatic data-binding. 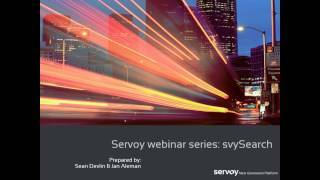 Learn how to configure SSL within Servoy and encrypt your data while in transit. 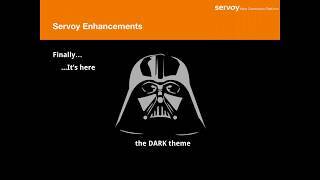 With CSS you can easily implement themes in Servoy to further enhance your user experience. We’ll show you how you can deliver a great UX with the use of CSS in Servoy. 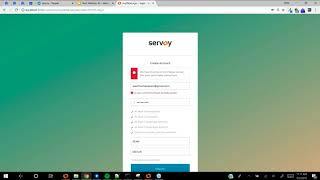 With Servoy you can integrate hardware devices such as scanners even if you are using a browser to run a business application. 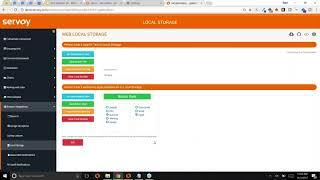 Full access to the filesystem is available as well. 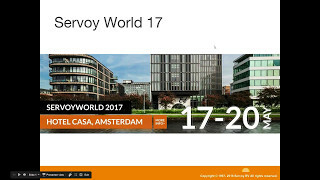 Integrating a webcam into your business application, Youtube videos with controls, collapsible containers and sliders in Servoy are the topics in this webinar. Internationalization is more than translating a few strings and Servoy comes with a broad spectrum of functions and tools to make it easy to make your applications international. 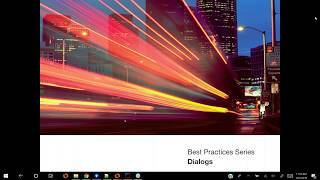 In this recording we’ll show you how and share best practices. Moving data to in memory can enhance the user experience as it will enhance the responsiveness of the application. Learn best practices of using in memory data in Servoy and the different use cases of when and how you should move data into memory. This new web component based on the ag grid allows you to very rapidly create powerful grouping grids in Servoy. Watch this webinar to find out how and get your free copy of the grid today. 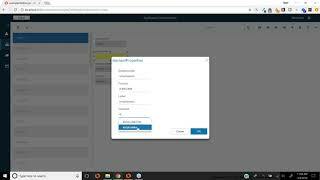 This module that can easily be included in any Servoy application shows you how to build and integrate a look-up form. The SvySecurity is a drop-in module that allows you to more easily manage authentication and security for your applications. 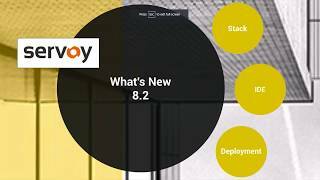 Servoy 8.2 introduces a series of capabilities to increase developer productivity including Form Wizards, Form Hierarchy, Web Package Manager and Design-Time Foundsets. This webinar will show the benefits of these capabilities and how to further speed up your development! 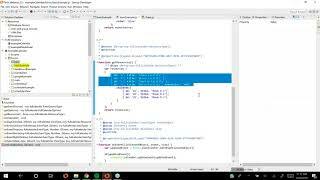 Servoy 8.2 launch series part 1: The Client Manager plugin allows you to do really cool things like building your own chat client in Servoy. Why not build and integrate your own Slack app right in Servoy? 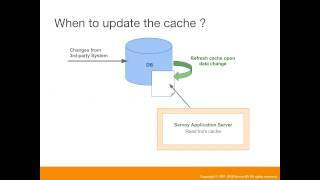 Learn how to consume REST web services in Servoy. Calling a web service, binding it to Servoy user interfaces and sending off updates and more are covered. 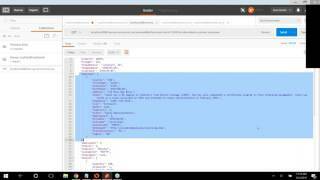 Learn how to publish REST web services in Servoy. 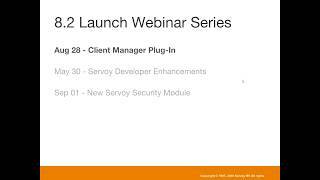 Best practices, getting started, security and generic end-points are discussed in this comprehensive 30 minute webinar. The Servoy batch processor allows you to use parallel processing and server-side automation, either in real time, batch or queued. In this webinar, you will learn how to use it optimally. 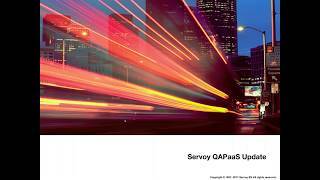 Learn how to rapidly develop great mobile apps with Servoy and phonegap in this brief webinar. 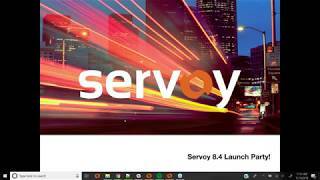 In this sneak preview of Servoy 8.2 you’ll get to see what is going to be available in Servoy 8.2 and we’ll even give you access to an early download! oAuth2 allows you to easily access data from external applications such as Google Calendar and LinkedIn. 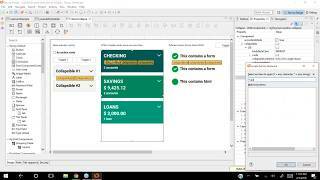 In this webinar we show you how to get started. 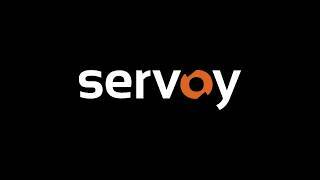 Servoy applications can be deployed as single file on Java Application servers both in the cloud and on premises. Learn all about it in webinar #12. 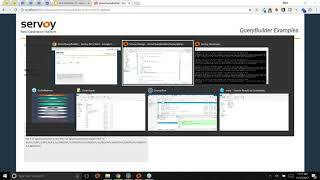 We have built a new sample solution container to make it easier to test all the sample solutions we have and it gives you access to download, the source code on git, documentation and even an built-in source code viewer. 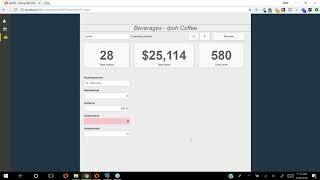 Watch this webinar to learn how to use it and where to get it. 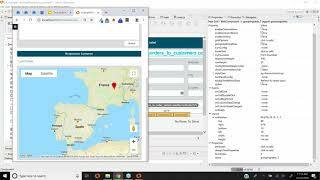 We discuss best practices to filter data in Servoy and deliver a great search and filter user experience to your users. 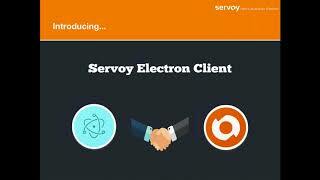 Servoy allows to seamlessly integrate external functionality in web components. 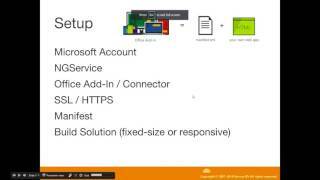 In this webinar we will discuss how to integrate Microsoft Office 365 in just a few clicks. svyChartJS Add modern, data-bound charts onto your Servoy forms. And as always, web components ship with comprehensive documentation and sample solutions. Please join us for this 30-minute technical webinar recording and learn how to incorporate this new component into your web applications. Managing applications in a mixed environment. We are excited to invite you to join us for this webinar, announcing a new, open-source module svyDataBroadcaster. 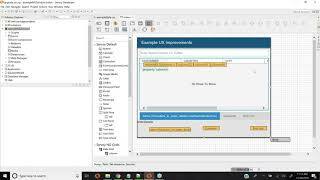 If you have multiple applications connecting to a database, then you probably face the challenge of keeping a uniform view of the data. Please join us for this 30-minute technical webinar and learn best practices for a multi-application environment and how to incorporate this new module into your applications. SideNav: Offering great UX for navigation and other purposes, this simple but dynamic menu component is easy to use, but fully extensible. svyGMaps: Place google maps components on your forms, bind them to your data. Select2: String tokenizer component for multi-selection, includes bindings for Servoy data providers and value lists. 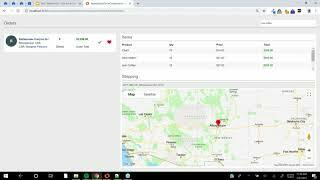 We are excited to invite you to join us for this webinar announcing an open-source module svySearch, which brings google-like text searching to business applications. 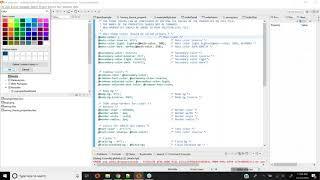 This module is designed to parse user-friendly text input and apply it to developer-specified patterns for searching.